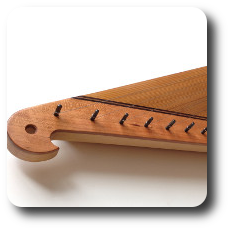 Cedar top, Maple body with copper tailpiece, Fluorocarbon Strings, Sutton Hoo Pattern with Wooden pegs and Brass key. see link for more details. 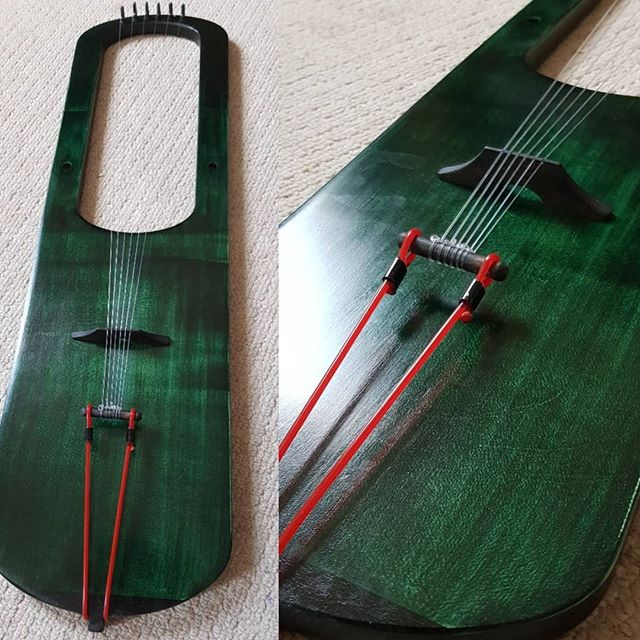 My standard range of instruments now on etsy, usually available 4-5 months waiting time by keeping down the options and materials, Also available accessories and supplies for these instruments,. 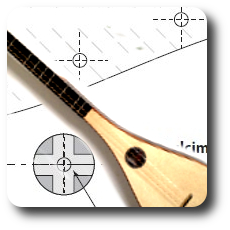 Plans are available for instant download in PDF format, designed to be printed out on home printers. Wide overlaps to help collate the drawings. 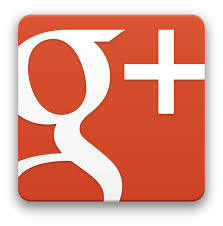 Support provided by email. These are my best and current models of instruments. 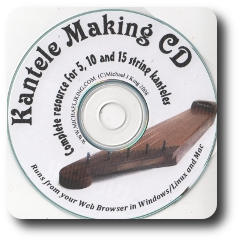 Kantele Making, Lyre Making DVD and Stick Dulcimer Making DVD's are available still as discs, but can also be supplied on USB flash drive for those without DVD players. 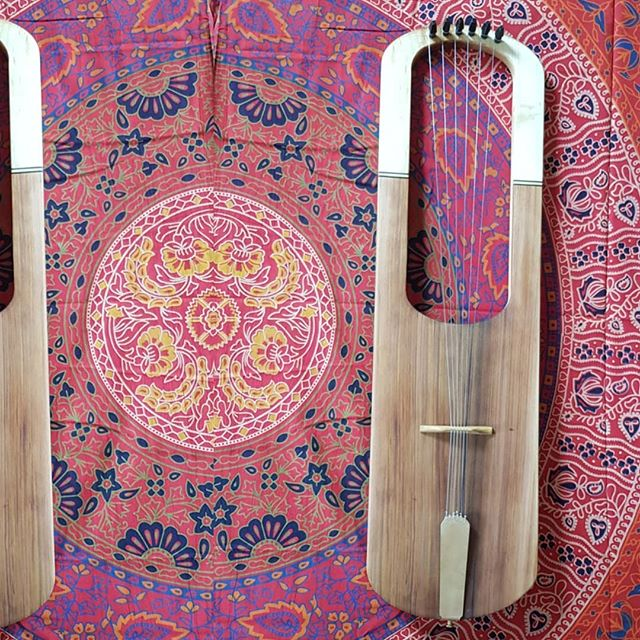 11 String Kanteles are one of my favourite Instruments. This year I am supplying a free copy of the tutor book by Arja Kastinen with each order placed. 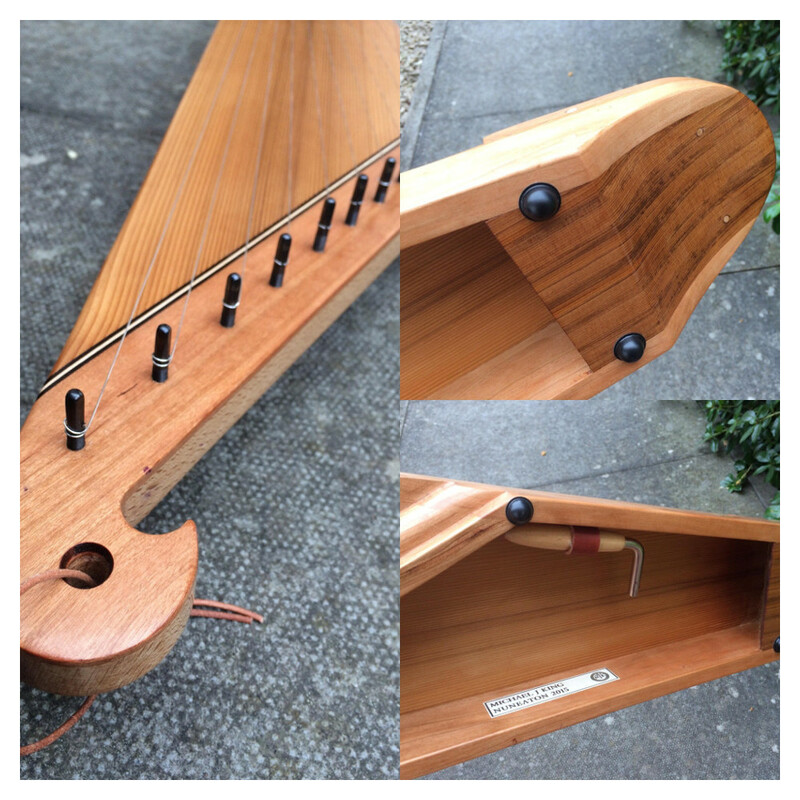 This is a fabulous, great sounding and playing Kantele made with Cherry wood frame, Cedar soundboard and hard beech pin block for reliable tuning complete with the Tuning Key mounted underneath, the culmination of my 16 years making Kanteles, now added to my etsy page for quick order or with a through my website if you require a case or extra decoration like runic inscriptions.